The first play I ever had staged for an audience was a one-act I wrote in middle school called "Without Ground." It was a treatise of loneliness written as a religious parable. A lofty endeavor for a 12 year old...which turned out pretty convoluted and ridiculous. I don't remember it well--besides the feathered red wings I purchased as a prop from a gothic clothing store in my neighborhood, and a soliloquy I performed about feeling wholly ungrounded. As with most artistic endeavours that come from the minds of 12 year olds (or, if we're being honest, adults too), "Without Ground" was mostly autobiographical, chronicling my own struggle with place, identity, and belonging. These feelings are not unusual for young people in the throes of puberty. We’re all awkward and uncomfortable during that time, if some of us a bit more obvious about it than others. But, nearly two decades later, that feeling of groundlessness hasn't fully left me. And I'm not certain it ever will. What is your favorite family heirloom? Do your parents still live in the home where you were raised, perhaps even the same home where one them was raised too? How many photos have you seen of your parents' childhood? Their parents' childhood? 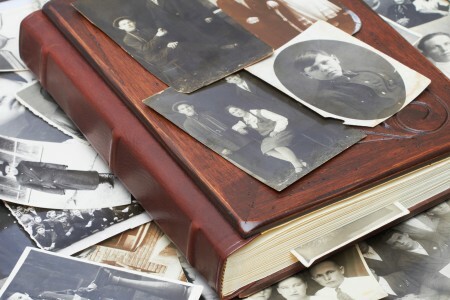 Most people have some physical remnant of their famililial past, tethering them to their ancestry. Most people cherish these items. But what happens when those items are lost? How do we connect to our ancestors, or understand our heritage? During World War II, roughly 22,000 Japanese-Canadians were sent to internment camps. Their homes and possessions were confiscated and, in many cases, sold. An article published last year in the National Post details the stories of these families as they tried to locate their lost heirlooms, things like dolls and sewing machines. The letters, according to the Post, did not display rage at being placed in the camps so much as having their life's work and heirlooms sold off piecemeal. My mother's family had a similar experience. Born in Cuba, my mother and her family emigrated to the United States at the height of the Cold War. Cuba was the enemy--and in Cuba, wealthy academics like my family were the enemy too. Before being exiled, my mother's family was humiliated. The school where my grandfather taught was plastered with papers declaring him a traitor. When they left, they were only allowed two suitcases among the five of them. Their house was seized by the government. They arrived in their new country as refugees. I have only seen one or two photos of my mother as a child. Able to bring along just two suitcases, photographs of their youngest daughter were not a priority to my grandparents. Not because they didn't love her, but because they had to decide, very quickly, what constituted a necessity. Survival, or legacy? In conditions of war and poverty, heirlooms become translated into stories. When we can't carry our histories in our arms, we carry them in our minds, and our hearts, and our language. My family's legacy is not something I can hold, or look at it. It is not something I can gift to my children when they reach a certain age. What I have instead are a handful of stories. About air humid and heavy with the scent of jasmine. Bats rapping dark wings against an attic window while my mother reads by candlelight. My aunts sneaking away from a party in a boat. My grandmother translating a Ouija board beneath the mango tree out back. Tadpoles hatching in the swimming pool while people I’ve known only in their old age splash and play at the height of youth. There is something essential and sacred about holding an object that has been held by members of your family for decades, or centuries. Heirlooms haunt us with their purpose—to remind us that we come from somewhere, that we have a lineage, and that we belong. Through heirlooms and photographs, this message is palpable. It grounds us. For those who have none, our ancestry can feel phantasmal, weightless. I grew up feeling that I had no grounding, because I couldn't connect to a family history that I couldn't see or touch the way my friends did. It's a painful feeling--but it is also what has driven me to craft stories. It inspired my first play; it fueled a drive to write and write and thus leave a more robust legacy to my descendants than I could have ever imparted with an object or two. Storytelling is a legacy that lives in a way objects do not. Stories deliver both the original tale of our past, and also the world through which they are carried, and translated. Stories morph and change each time they are re-told; when we pass down stories, we add ourselves into them, even if we don't include our own histories in the narrative. Sometimes I wish I had more pictures of my mom and her family; maybe an old pair of earrings that my great-great-grandmother wore at her wedding. Sometimes I wish I were more rooted to my history, but I've found a way to weave myself back into that past, an ocean and many years apart, through the act of storytelling. There is a value in heirlooms--but through storytelling, we impart a living legacy.